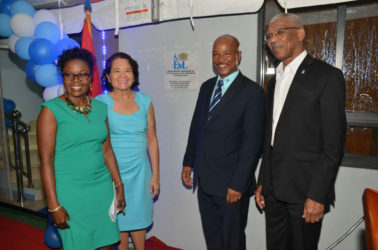 Eureka Medical Laboratories (EML) on Saturday launched its solar-powered building and President David Granger said that the private sector has an important role to play in advancing Government’s efforts to undertake in pursuit of a green economy. “A green economy must be driven by green technologies and this drive is not confined to Government. The private sector, as we see this evening, has an important role to play in introducing green technologies in our country. EML has shown that it is possible to fully power laboratories from solar power and this is the directive I have given to all of our ministries, especially with hospitals across the country. 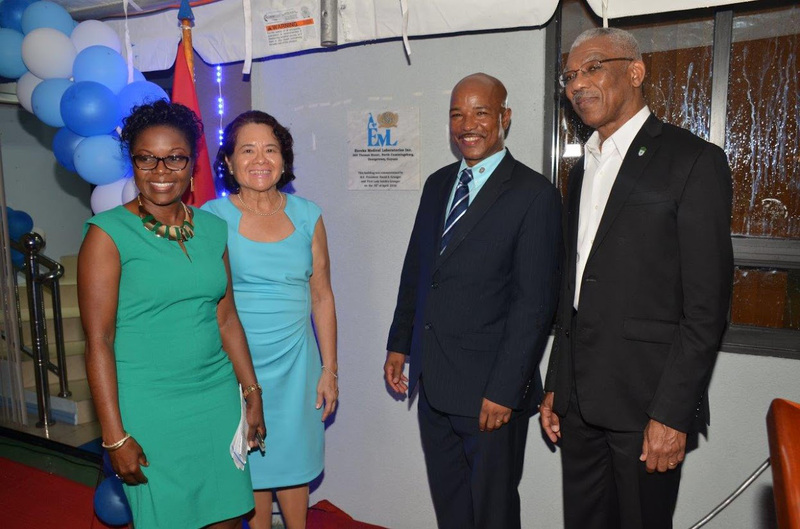 I encourage more businesses, ministries [and] schools to go green…,” Granger said, according to a release from the Ministry of the Presidency. The laboratory at 263 Thomas Street, North Cummingsburg, also formally introduced its Ancestry and Genealogy DNA Testing service on Saturday evening. Acknowledging that Guyana needs financing and technology for the development of green energy and green technologies, the President said he will be lobbying for such at the United States Caribbean Central American Energy Summit in Washington this week. the solar-powered laboratory is apt as it coincides with the ministry’s observation of Medical Laboratory Week. The opening, he said, will ensure that high quality services continue to be made available here. simultaneously and the importance of efficient laboratory services cannot be over emphasised. It is a major component in health care delivery since it plays a major role in the early detection and diagnosis of diseases,” Dr Norton said. William Andrew Boyle, Founder and Chief Executive Officer of EML said that the journey was a long and arduous one but it has borne fruits. “Competition was fierce as it still is. It was very difficult to break new ground in an already saturated environment,” he said. 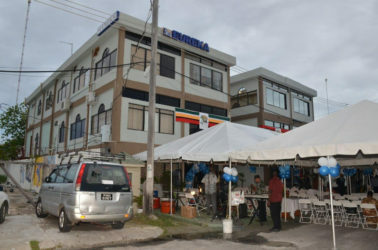 The release said that EML was established in Guyana on March 5, 1995 by Boyle, a microbiologist and his wife Dr Karen Gordon-Boyle, a medical doctor.